I'm never at a loss for words, that is until I need to put pen to paper and write a new post. What's a business owner to do? 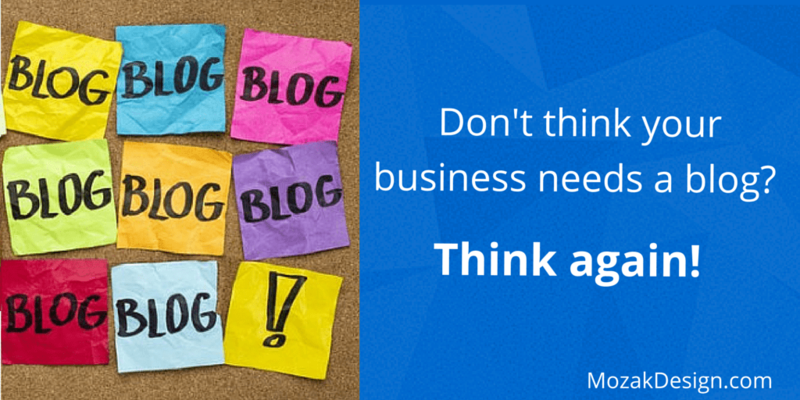 Learn why exactly does a business blog deliver such amazing results! Recently I've been noticing that a lot of my customers know that they need a WordPress blog for their business' website but they are unsure as to the why. Keeping your website current and relevant is a lot easier when you have a blogging platform built-in on your site. With our client's WordPress sites, it is simple to share interesting content with website visitors. New Year New (updated) WordPress Site!